Landcare is a uniquely Australian partnership between the community, government and business to ‘do something practical’ about protecting and repairing our environment. More than 4,000 volunteer community landcare groups – including bushcare and urban landcare, rivercare, coastcare and sustainable agriculture groups – are tackling land degradation in every corner of Australia. 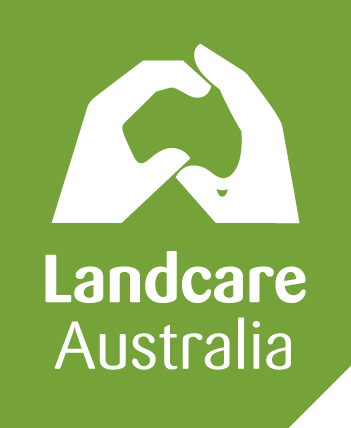 Formed in 2009, the National Landcare Network speaks as the national voice in the development of Landcare and broader natural resource management and environmental policy. It fosters a cohesive and cooperative forum to collaborate, support, advocate for and add value to Landcare and other community volunteer NRM groups (Landcare, Coastcare, etc) to address strategic and proactive natural resource management and environmental issues. It also forms strategic partnerships between Landcare groups and the broader Natural Resource Management and environmental stakeholders including, Regional NRM Organisations, Governments, Industry Groups, indigenous authorities and community groups and other non-government community groups. Nrm Regions Qld is the lead body for regional NRM bodies in Queensland. They represents the interests of the 14 regional natural resource management bodies in Queensland. The state has adopted a flexible approach to community-based NRM, in response to the Australian Governments’ Caring for our Country and previous programs. This means that regional bodies reflect diversity within the state, in their corporate structures, stakeholder interests, and stages of planning and implementation of NRM. Conservation Volunteers is Australia’s leading practical conservation organisation. Since 1982 Conservation Volunteers has fulfilled its mission to attract and manage a force of volunteers in practical conservation projects for the betterment of the Australian environment. Greening Australia engages the community in vegetation management to protect and restore the health, diversity and productivity of our unique Australian landscapes. With 30 years of experience in creating sustainable environmental outcomes, Greening Australia is a solutions-driven organisation that is committed to doing something practical about Australia’s environmental problems. Keep Queensland Beautiful is Queensland’s longest standing community-based, environmental organisation, having been established in 1971. Keep Queensland Beautiful’s programs motivate people to enhance the quality of their local environment through personal initiative and community action.